Now if you take his name at face value, the Reverse-Flash should be the slowest man alive, not the fastest. So what are they playing at, huh? What are Brian Buccellato and Francis Manapul playing at by devising this rip roaring adventure Published by DC Comics, in June, 2013? Backgammon or Scrabble? Using GENERAL terms, answer the following 4 questions about this THIRD PART of 'In Reverse'. WHAT'S THE MAIN THRUST OF THIS TALE: With the 'Speed Force Killer' still at large, the Flash takes Iris to Patty's lab for safe keeping, whilst at the very same time trying to track down and capture this fast-fiend. ARE THE MAIN OBJECTIVES ACHIEVED: Yeah. I suppose they are more or less. Not that its does anybody any good. Yet. ANYTHING ELSE HAPPEN: Doctor Elias flicks a couple of switches on his speed force draining machine. HOW DOES THIS STORY END: With two Flashes butting heads. Literally. ... nigh on straight away I conjured up an image in my mind of the Flash planting trees in the wilderness, and parading over them as if he was some type of messiah figure. Silly. I know. But I kind of liked it. 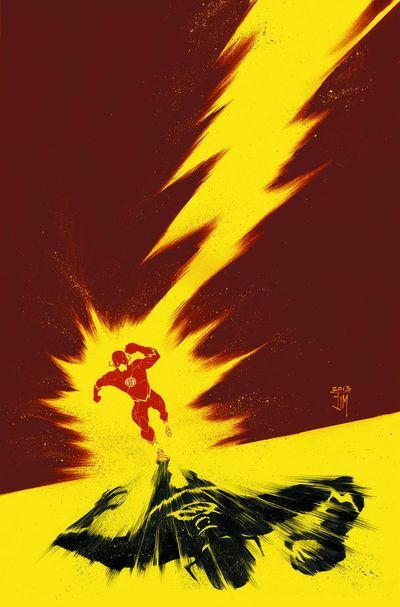 (+) The stand-out scene for me in this issue was that brave and bold one involving Barry, Elias, and the Reverse Flash. Honestly. In a blink of an eye it caused a shiver to shimmy down my spine and then back up again by the very last page. It literally stuck me like lightning. BANG! Popping up out of the blue in a very electrifying and exciting tone. Amazing scene. Really amazing. (+) Everyone that liked the sight of Iris wearing a spandex suit put up your hand? Oh! That many? Fair enough. So how many of you liked the fact that her and Patty commented on this cosmetic touch-up too? Hmmm. Good to know. (+) Now if anyone out there wants to know how to create a great comic book, please take note of what Brian and Frances are doing in this very issue. The story is a simple one. The art is bold and innovative. Plus the entire package is so complimentary, for the love of God, I find it very difficult to bash this creative team even if they do something that is slightly amiss. (-) The only slight gripe I have about this yarn would have to be those exposition scenes that came across more like filler than a continuation of a singular tale. It was like 'Wait up! I have to tell you something that may or may not be necessary to the overall plot. Yet it will come in handy sooner or later, OK?'. Know what I mean? A CHEMISTRY-SET AS DOCTOR ELIAS: What? Is this comparison too obvious for you, folks? Well, it must be better than comparing this scientist to a broken treadmill. 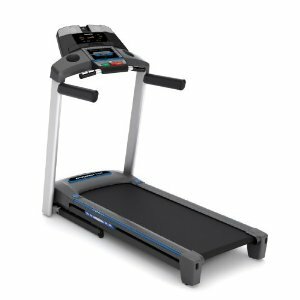 A BROKEN TREADMILL AS THE REVERSE FLASH: Damn. I've done it again, haven't I? I've got to stop going with my gut instinct at times. It's just that this comparison seems kind of obvious is all. 'WHO DO YOU THINK YOU ARE' BY THE SPICE GIRLS: OK. I know that the Spice Girls are as talented as a packet of matchsticks, however, I have to mention that this song and this story do complement each other because they're both about people unsure of their own actions, as well as insinuating a homage of sorts. Lady Flash -- No. Been there. Done that. Ms Flash -- Or is that too 'old school'? Very Fast Woman in a Skin Tight Costume -- What? Is that too blatant? Rapid Rose -- Hey! That has a nice sniff to it. Thrift -- Fast on crime. Careful on shopping. Madame Eclair -- Please note that 'éclair' is the French word for fast, plus is the sweet word for cake. Dashing Duchess -- And I'm not referring to Kate Middleton, hint-hint! The Reverse-Man Flash -- Oh, bugger. I'm just being silly now. Anyway, that's enough of my b*llocks for this month, folks. All I have left to say is that this issue of 'The Flash' was a pretty decent stepping-stone story to read. The art was class. The story raised the mast. And generally speaking it's intrigued me just enough to make me want to know what's coming up next.